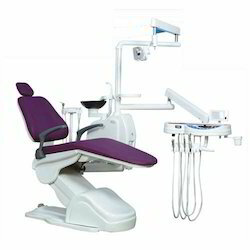 Pioneers in the industry, we offer bio-vision foldable dental chair mount unit, bio-peak super deluxe dental chair mount unit, bio-peak electric dental chair mount unit, bio-elantra dental chair mount unit, bio-dent medical system and bio jet base model dental chair unit from India. 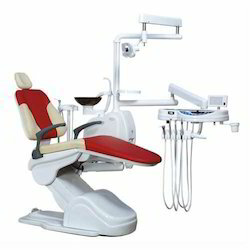 Riding on unfathomable volumes of industrial expertise, we are engaged in offering Bio-Foldable Dental Chair Mount Unit. This product has auto thermostatic rinsing water supply. The offered product is designed by our professionals using the quality material and technically advanced tools. We offer this product in various specifications in order to meet various requirements of our customers. 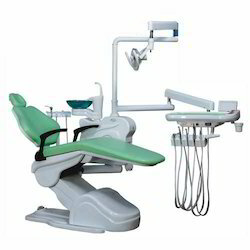 Our domain expertise has enabled us to offer an excellent collection of Bio-Peak Super Deluxe Dental Chair Mount Unit. Offered product is well checked on numerous stages by our quality experts for ensuring its flawlessness. This product is manufactured from the high quality of material & leading techniques under the guidance of skilled professionals. Customers can easily avail this product from us at affordable price. 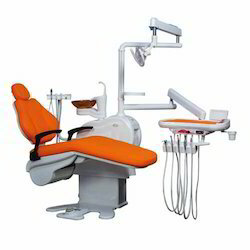 With assistance from highly qualified and experienced professionals, we are engaged in offering a huge gamut of Bio-Peak Electric Dental Chair Mount Unit. 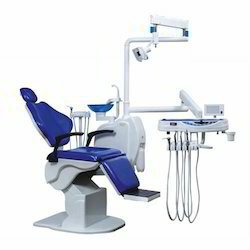 This Dental Chair Mount Unit is designed with the help of finest grade material & modern tools in fulfillment with set standard. Our offered Bio-Dental Chair Mount Unit product is inspected before supplying to customers in order to make certain its faultlessness. We are giving this product in customized options as per the market preferences. We are leading manufacturer and suypplier of Bio-Dent Medical System. 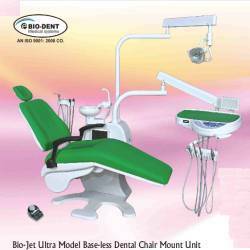 We have emerged ourselves as a leading manufacturer for Bio Jet base Model Dental Chair Unit that are available in varied models and other related Specifications to meet individual requirements and demands of the clients in appropriate manner. All the products we offer to the clients have been thoroughly checked and analyzed on set industry norms. 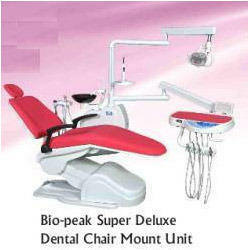 We offer an impeccable range of Bio Peak Super Deluxe Dental Chair Mount Unit. Offered product is designed at our premises utilizing quality approved material and contemporary tools in accordance with set industrial terms. Our offered product is commended in the market for its superior quality. This product can be customized as per the need of patrons.